The reasons for this implication are fourfold:・・・and fourth, it is more likely than not that internal climate variability in the near-term will enhance and not counteract the surface warming expected to arise from the increasing anthropogenic forcing. Recent studies have assessed the consistency of model simulations and temperature reconstructions at the hemispheric scale. Hind and Moberg (2012) found closer data-model agreement for simulations with 0.1% TSI(total solar irradiance) increase than 0.24% TSI increase, but the result is sensitive to the reconstruction uncertainty and the climate sensitivity of the model. 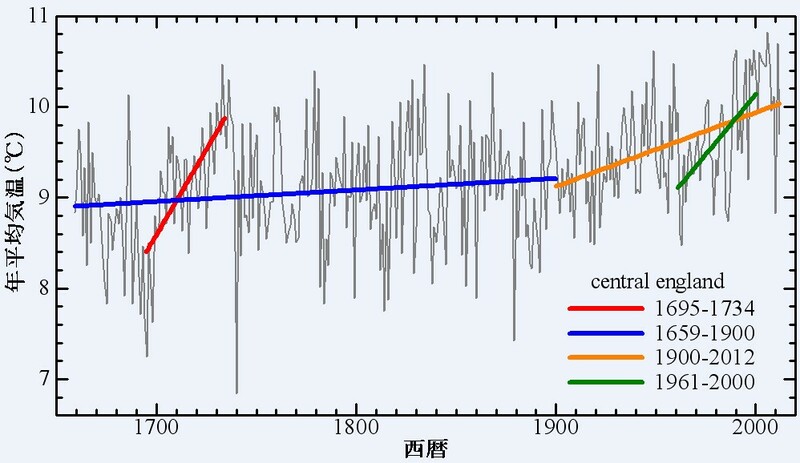 Simulations with an EMIC(Earth-system models of intermediate complexity) using a much stronger solar forcing (0.44% TSI increase from LMM(Late Maunder Minimum) to present, Shapiro et al., 2011) appear to be incompatible with most temperature reconstructions (Feulner, 2011). 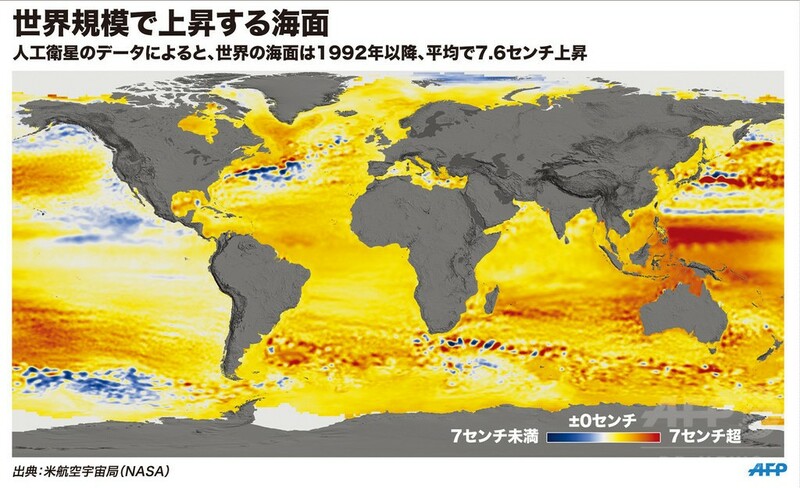 The heat content of the World Ocean for the 0-2000m layer increased by 24.0±1.9×10^22J (±2S.E.) 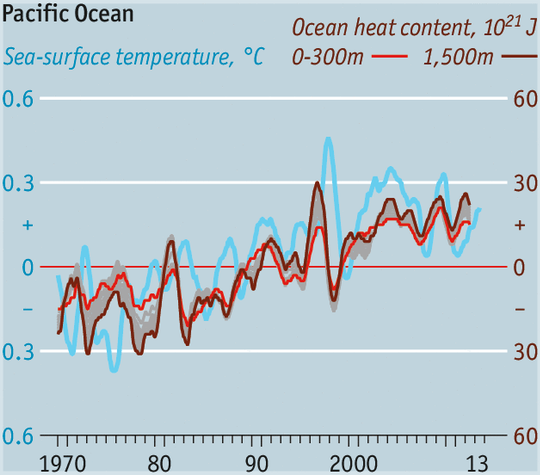 corresponding to a rate of 0.39 W/(m^2) (per unit area of the World Ocean) and a volume mean warming of 0.09°C. This warming corresponds to a rate of 0.27 W/(m^2) per unit area of earth’s surface. 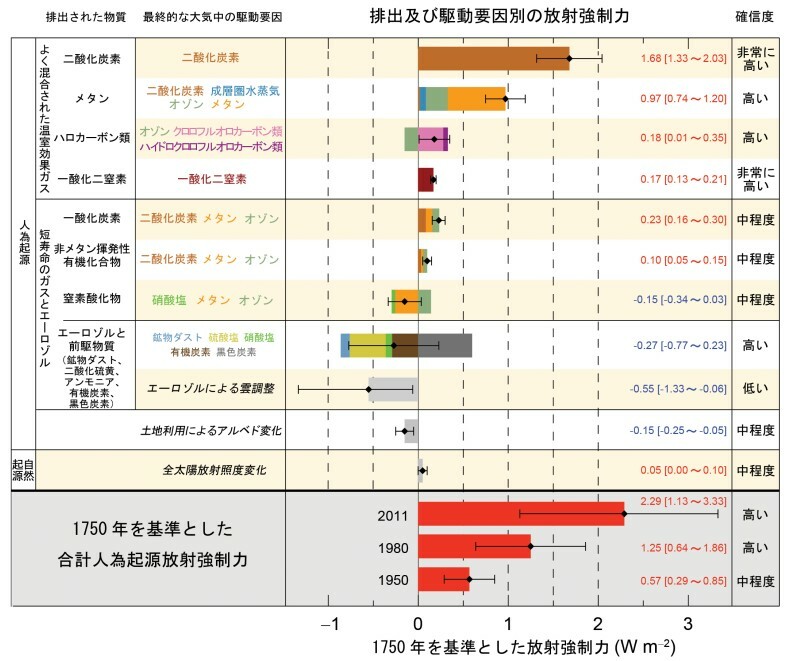 However, it is very likely that the climate system, including the ocean below 700 m depth, has continued to accumulate energy over the period 1998-2010. 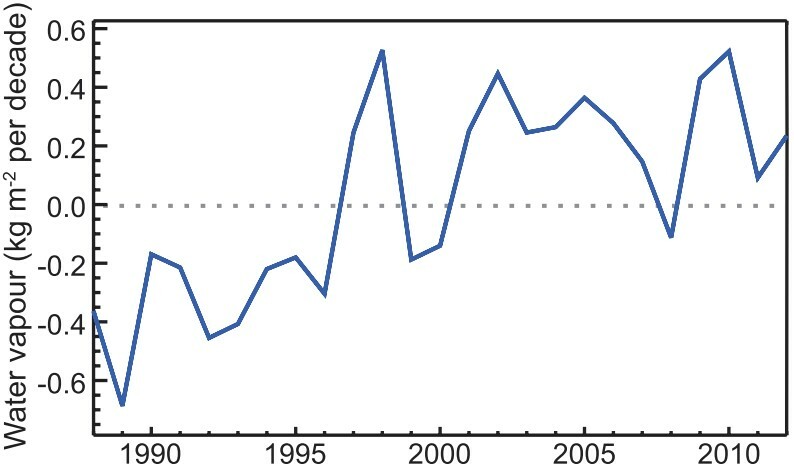 Consistent with this energy accumulation, global mean sea level has continued to rise during 1998-2012, at a rate only slightly and insignificantly lower than during 1993-2012. 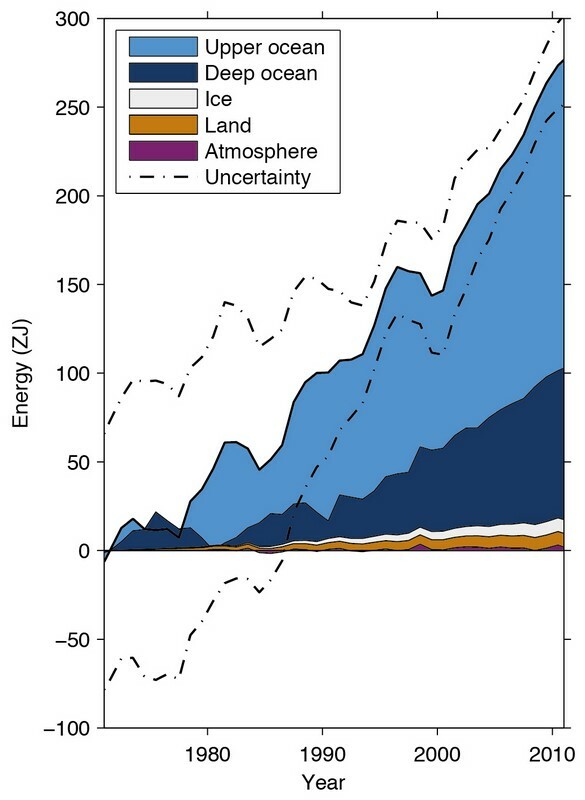 The consistency between observed heat-content and sea level changes yields high confidence in the assessment of continued ocean energy accumulation, which is in turn consistent with the positive radiative imbalance of the climate system. Attributing glacier mass budgets to anthropogenic forcing requires the application of numerical modelling. 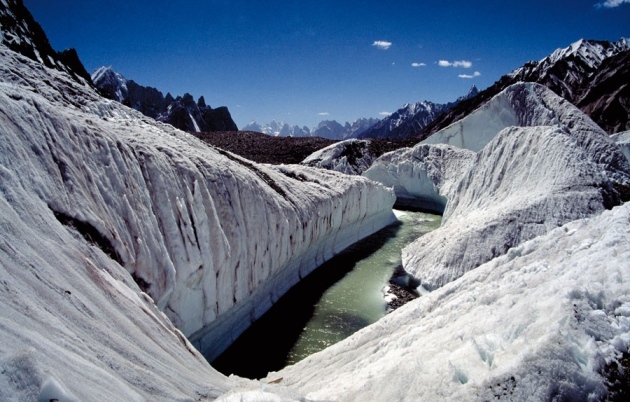 Recently, Marzeion and others (2014) showed that glacier mass changes in the late 19th and the first half of the 20th century can be explained satisfactorily by natural variability, whereas the ice loss of the past few decades requires that anthropogenic forcing be included. 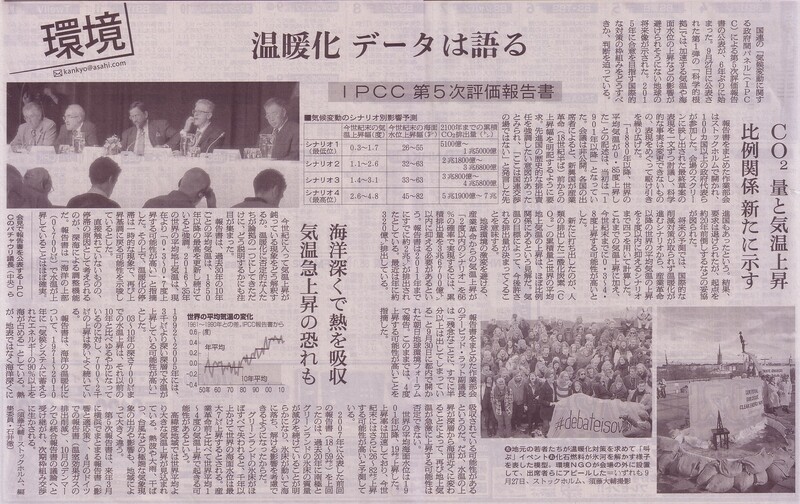 where is the forcing due to doubling atmospheric CO2 concentrations. We use a value of of (with a 5-95% confidence interval of ±10%) from ref.10. 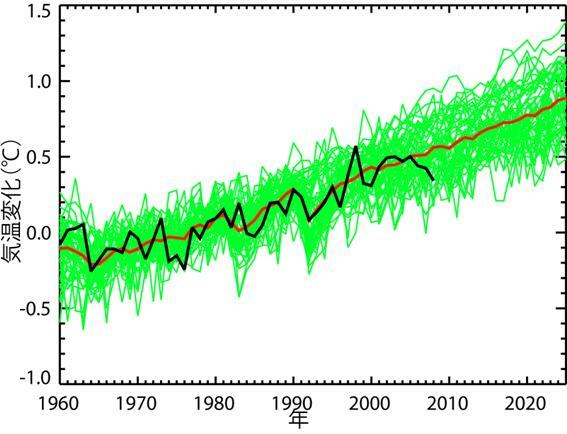 We find that ENSO variability analogous to that between 1997 or 1998 and 2012 leads to a cooling trend of about -0.06°C. In addition, updated solar and stratospheric aerosol forcings from observations explain a cooling trend of similar magnitude (-0.07°C). 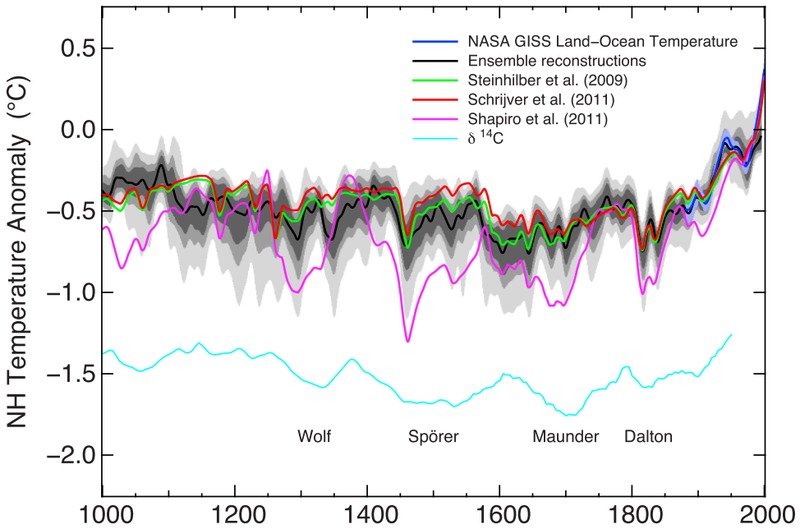 Accounting for these adjusted trends we show that a climate model of reduced complexity with a transient climate response of about 1.8°C is consistent with the temperature record of the past 15 years, as is the ensemble mean of the models in the Coupled Model Intercomparison Project Phase 5 (CMIP5). 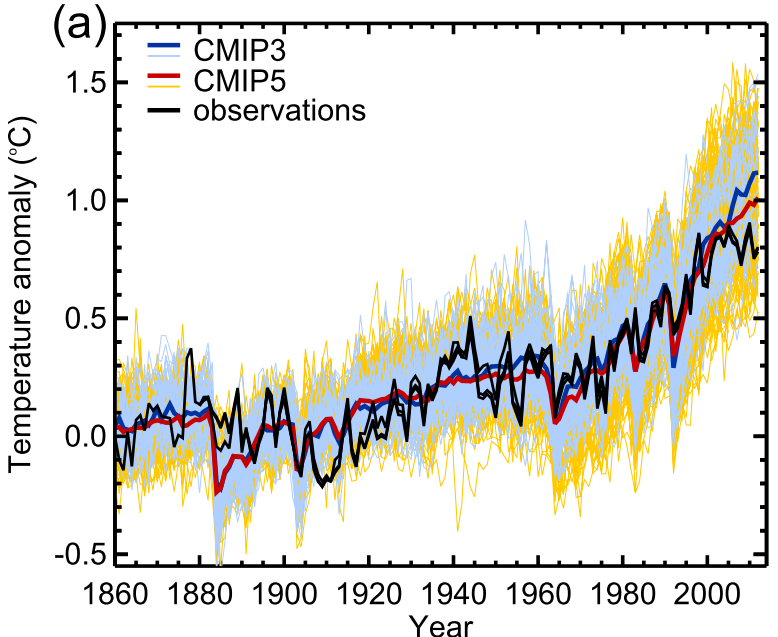 We conclude that there is little evidence for a systematic overestimation of the temperature response to increasing atmospheric CO2 concentrations in the CMIP5 ensemble. Because earlier studies do not account for what amounts to a net cooling effect for parts of the northern hemisphere, predictions for TCR and ECS have been lower than they should be. 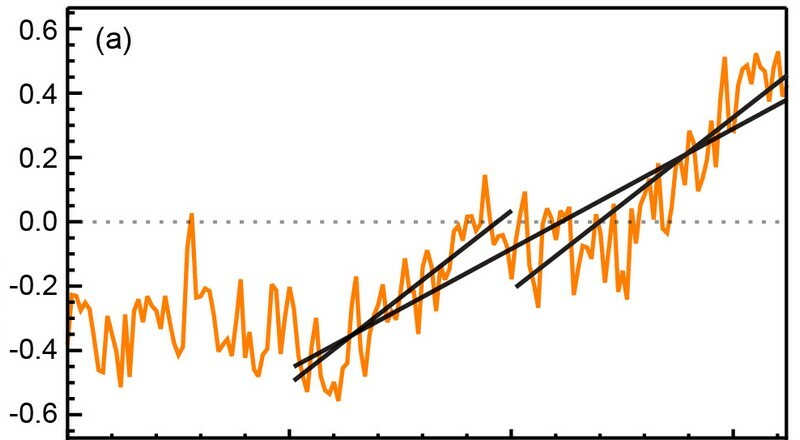 This means that Earth’s climate sensitivity to carbon dioxide ? or atmospheric carbon dioxide’s capacity to affect temperature change ? has been underestimated, according to the study. 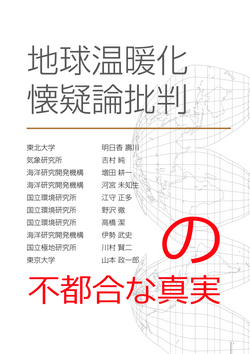 The result dovetails with a GISS study published last year that puts the TCR value at 3.0°F (1.7°C); the Intergovernmental Panel on Climate Change, which draws its TCR estimate from earlier research, places the estimate at 1.8°F (1.0°C). 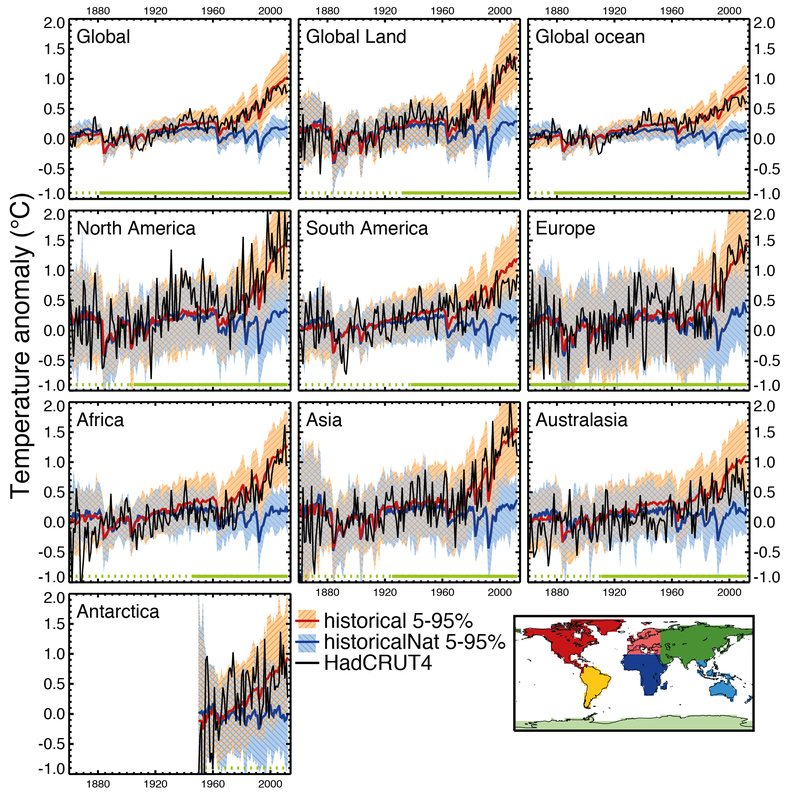 Using this framework, the observed continental temperature evolution from 1964 to 2010 can be reasonably reproduced, and yields a spatially averaged temperature increase of approximately 0.8 K (Fig. 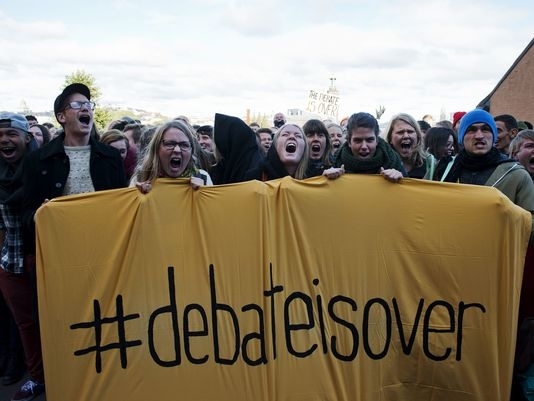 2). 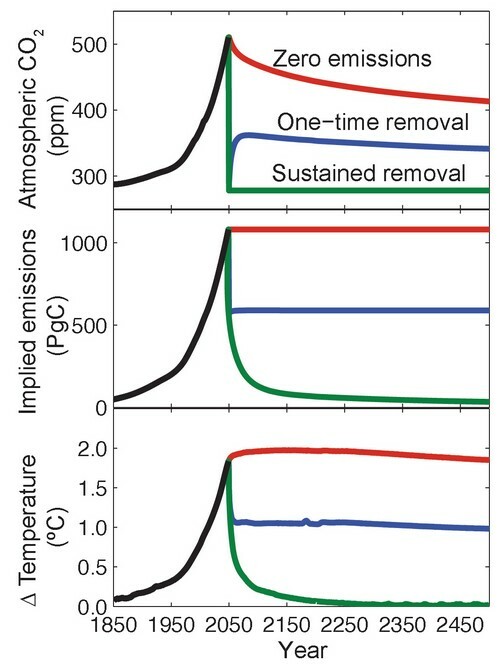 Using the method to calculate temperature evolution under the hypothetical case that CO2,eq remained constant at 1964 values, results in a cooling that reflects the total aerosol effect. Surface cooling is approximately 0.4 K, averaged over the surface stations considered. 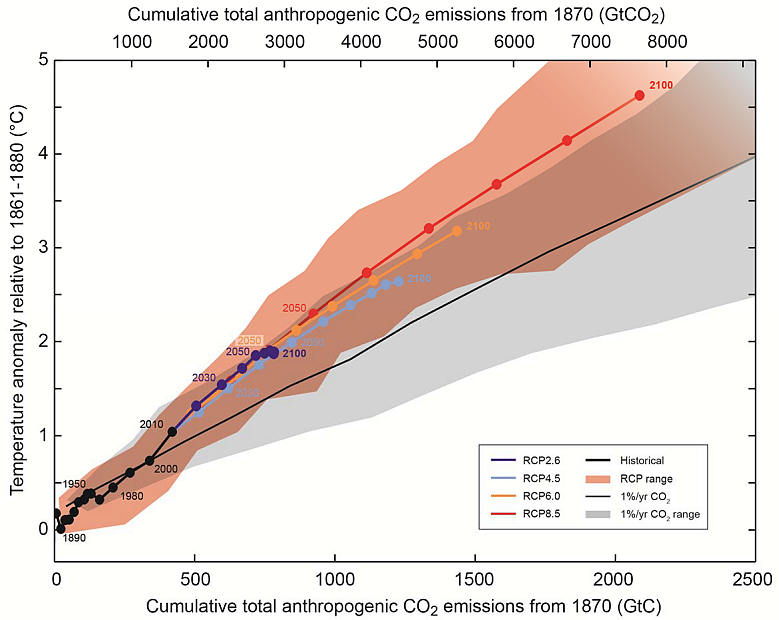 Conversely, if DSRS is kept constant at 1964 levels, corresponding to constant atmospheric aerosol concentrations, a warming of 1.2 K is calculated. 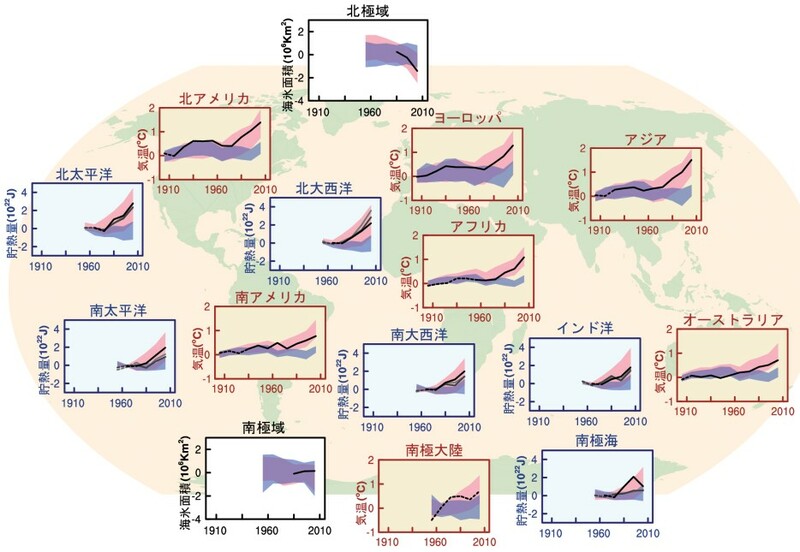 In other words, about one-third of potential continental warming attributable to increased greenhouse gas concentrations has been masked by aerosol cooling during this time period. 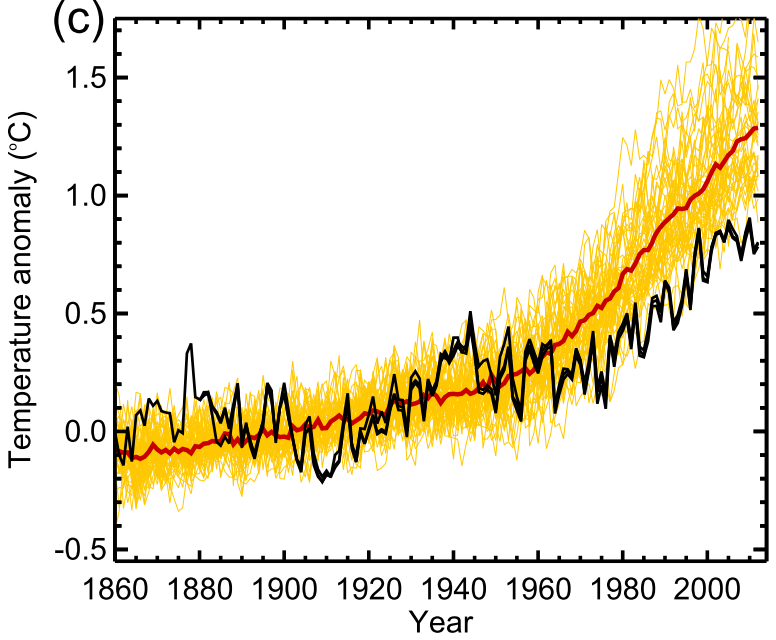 Most of the excess energy stored in the climate system due to anthropogenic greenhouse gas emissions has been taken up by the oceans, leading to thermal expansion and sea-level rise. 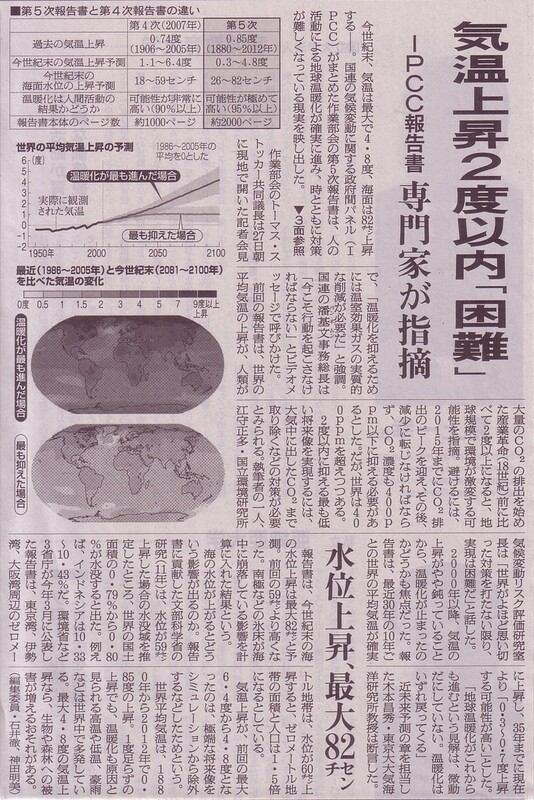 The oceans thus have an important role in the Earth’s energy imbalance. 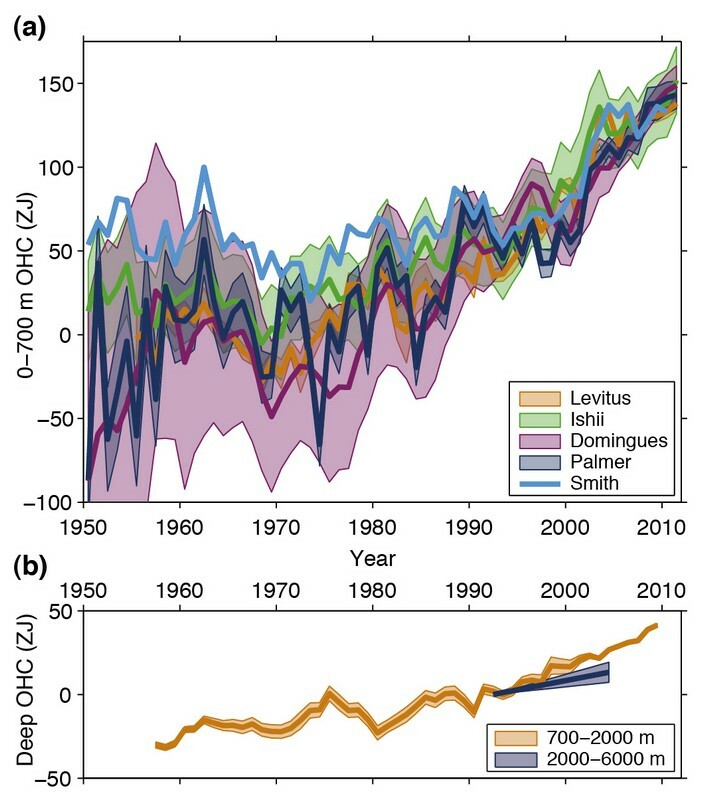 Observational constraints on future anthropogenic warming critically depend on accurate estimates of past ocean heat content (OHC) change. 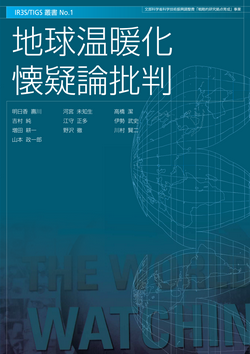 We present a reconstruction of OHC since 1871, with global coverage of the full ocean depth. 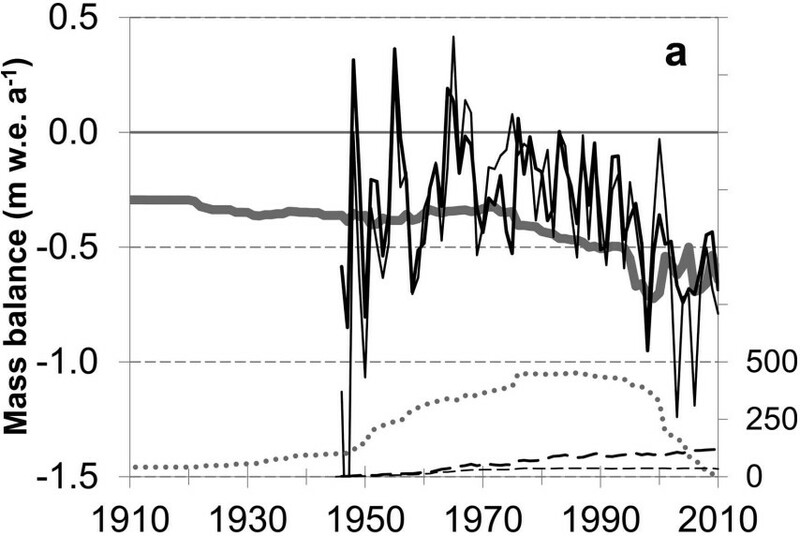 Our estimates combine timeseries of observed sea surface temperatures with much longer historical coverage than those in the ocean interior together with a representation (a Green’s function) of time-independent ocean transport processes. For 1955-2017, our estimates are comparable with direct estimates made by infilling the available 3D time-dependent ocean temperature observations. 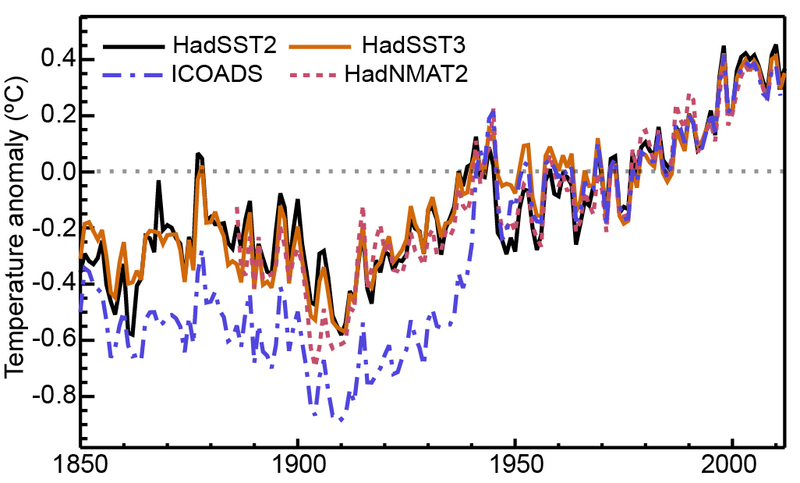 We find that the global ocean absorbed heat during this period at a rate of 0.30±0.06 W/m^2 in the upper 2,000 m and 0.028±0.026 W/m^2 below 2,000 m, with large decadal fluctuations. 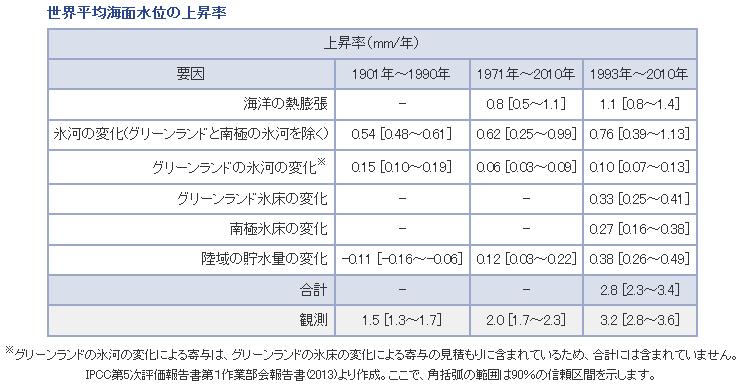 The total OHC change since 1871 is estimated at 436±91×1021J, with an increase during 1921-1946 (145±62×1021J) that is as large as during 1990-2015. 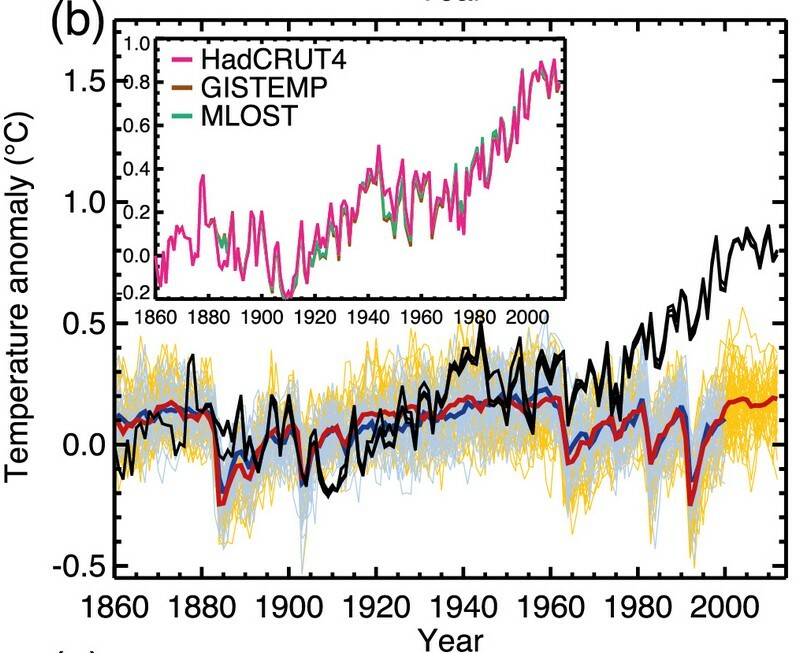 By comparing with direct estimates, we also infer that, during 1955-2017, up to one-half of the Atlantic Ocean warming and thermosteric sea-level rise at low latitudes to midlatitudes emerged due to heat convergence from changes in ocean transport.